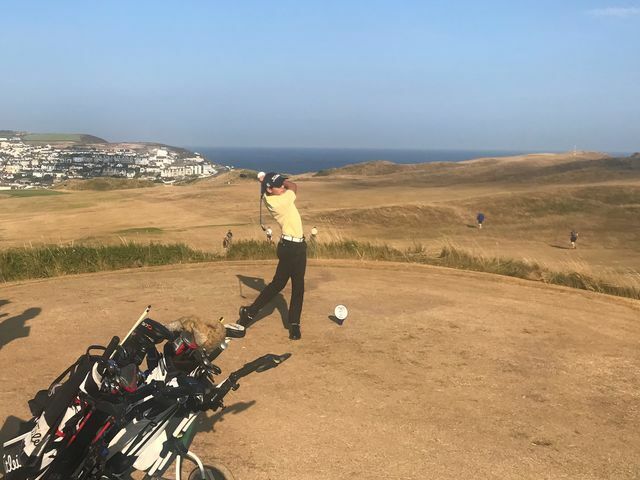 Following a successful part in the England team which scored a comprehensive 16-4 win over Wales a fortnight ago, George Leigh (Trevose) has retained his place in the national side. Leigh - pictured above during July's SWCGA Boys Championship - has been named among the six players selected for England for the U16 international against Ireland at Limerick on 13-14 October. The other team members are Dubai-based Josh Hill, Max Hopkins of Hertfordshire, Conor Gough of BB&O, Ben Pierleoni of Hertfordshire and Ben Schmidt of Yorkshire. Well done again George and good luck to you and the team in Ireland!